“Metamorphosis” Arrow’s Five Years Out Art Challenge – $10,000 Grand Winner! 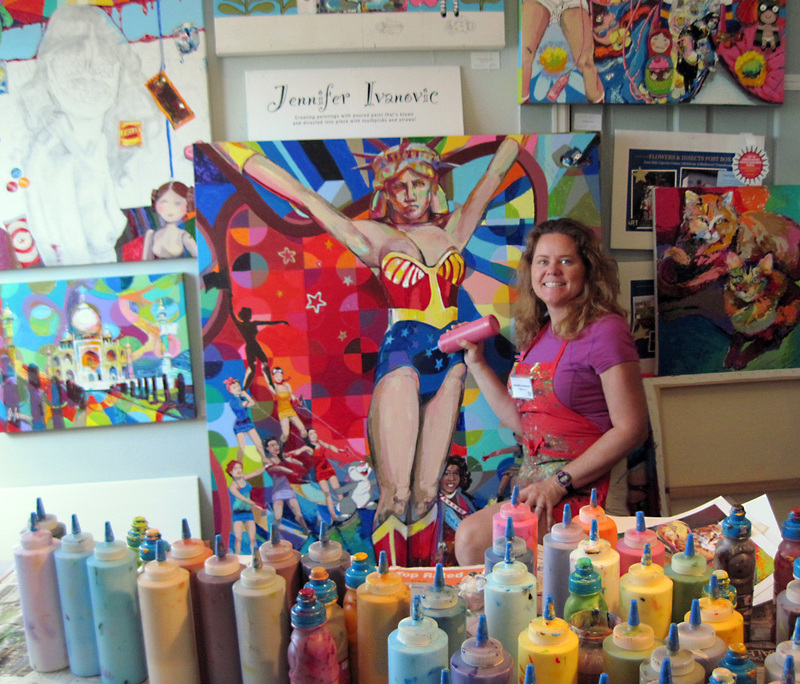 Jennifer Ivanovic is a leading artist in the current wave of color field painting. Born in Wisconsin in 1970, the artist is a graduate of The Columbus College of Art & Design (BFA, 1992). Her work has been included in many corporate collections across North America and Southern Africa. Her art is known for innovative techniques and unconventional use of acrylic paint. 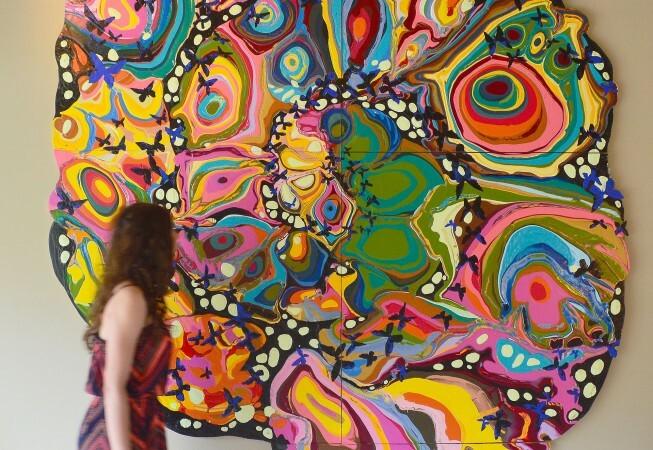 Colorful paintings emerge from her unique pouring and “blowing” method. Ivanovic’s art celebrates insightful metaphors with a devotion to the lusciousness of paint. The artist has lived in 5 US states, South Africa & New Zealand and currently resides in Fort Collins, Colorado. Arrow’s FIve Years Out Challenge inspired Jennifer Ivanovic to look at the Magic of Metamorphosis. Innovations thrive on the natural brilliance of evolution of an idea or product. These transformations symbolize what a business needs to thrive, inspire and reshape their products and thinking in a “Five Years Out” world. Ivanovic’s simple, yet incredibly beautiful pouring process captures and collaborates with the force of nature – gravity, to facilitate a conversation about the ideas of Metamorphosis. Her painting process starts with both highly premeditated and spontaneous pouring of fourteen gallons of paint producing shocking and unexpected results. Celebrating the unique fingerprint of butterfly’s metamorphosis as a metaphor for transformative thinking. 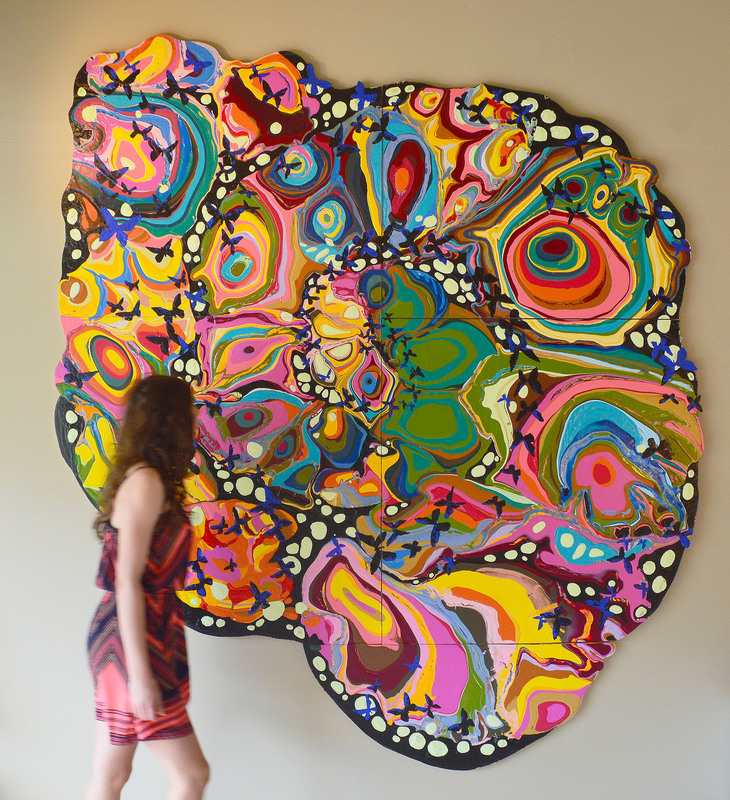 The massive, free-formed painting is based on several concentric pours. The bullseye pours are symbolic of continuous drips of radiating innovation. Hidden within the connected bullseye pours are caterpillars, cocoons and hundreds of painted butterflies swirling from the center of the work. Arrow Electronics has challenged Ivanovic and all creators to live and work in a world Five Years Out. She has certainly been inspired to work in the “beyond”. The beauty of “Metamorphosis” shows complex painting skills, a hypnotic color palette and a large scale collaboration with a force of nature – gravity. How will you work Five Years out?